Voyeuristic and playful, Antoniadis allures the viewer into quiet spaces exploring the domestic territories of others. 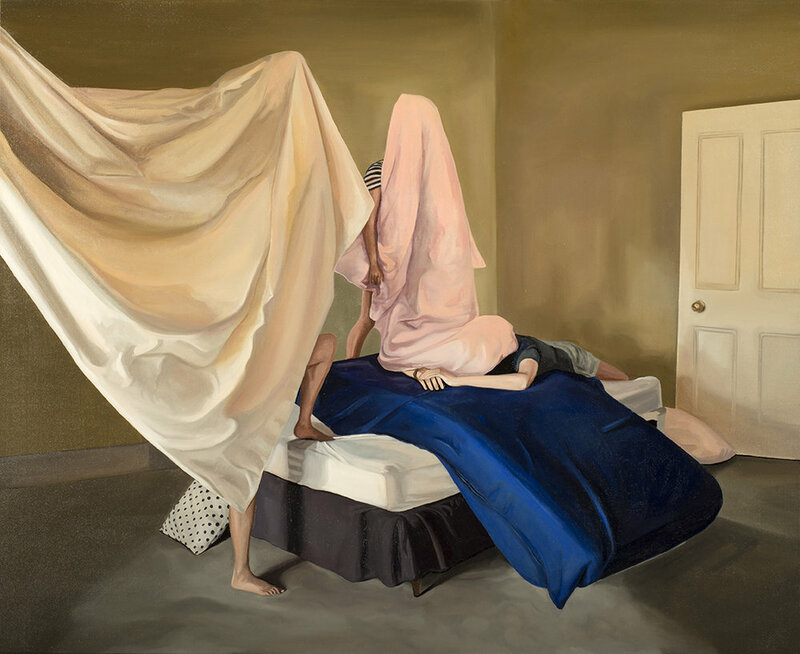 Her series VEIL is based in the bedroom where one finds themselves in a familiar space, intimate and calm expressing the most benign potential of human life. The walls of these interior spaces construct boundaries around the figures, inspiring new narratives and relations. Whilst dividing them from the outside world Antoniadis' simultaneously constructs an internal world of her own. 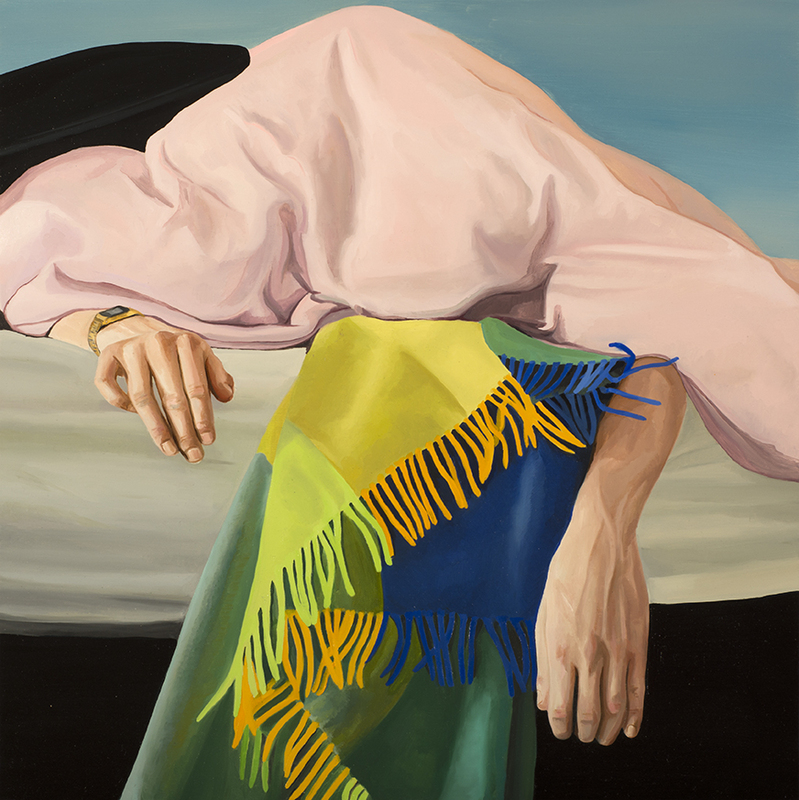 Antoniadis' fixation with fabric lends itself to the moulding and fleshlike nature that envelops her subjects, softly building forms and provoking a playground of possibilities. 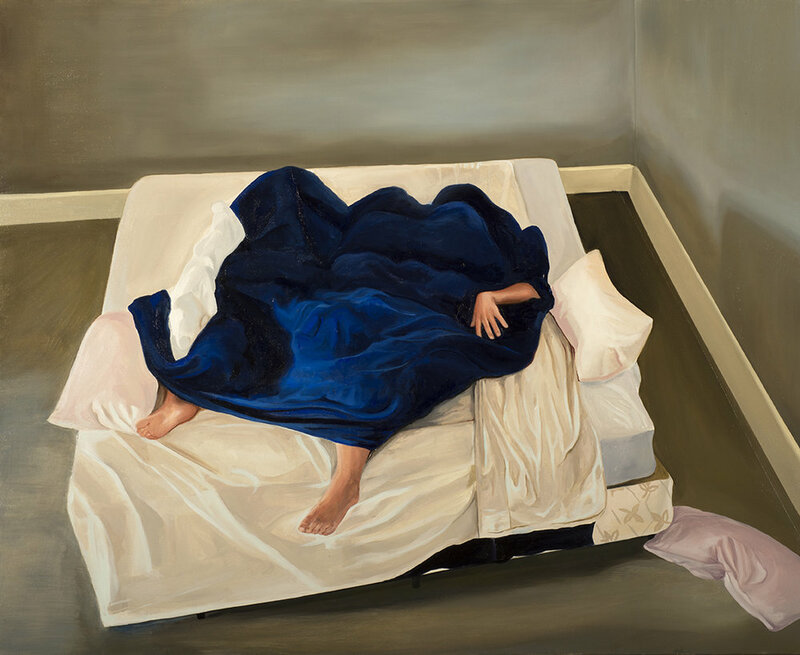 Her paintings are often focused on the mundane where common occurrences are shifted and provoked by the figures that emerge.